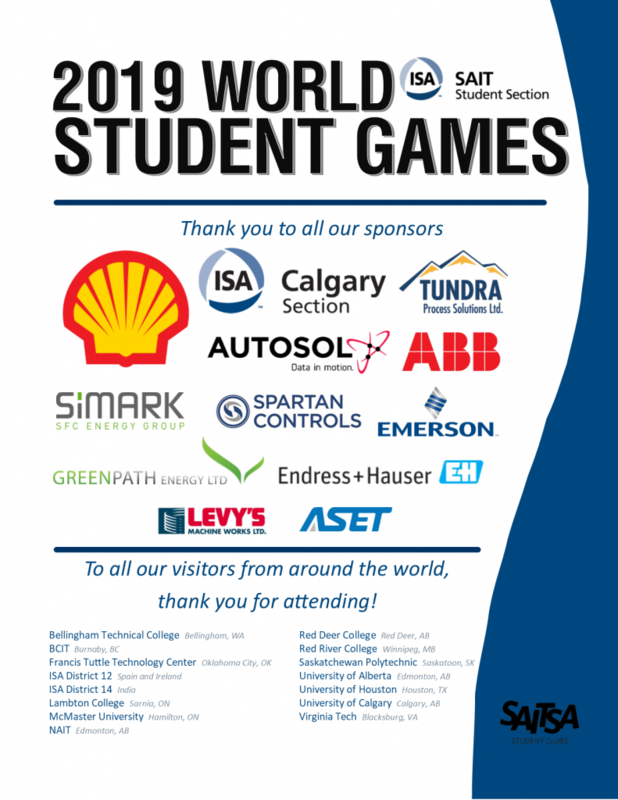 ISA Hamilton was pleased to sponsor a student team from McMaster University’s process automation B.Tech program who recently traveled to Calgary Alberta Canada to participate in the ISA-SAIT World Student Games. Hosted by the Southern Alberta Institute of Technology ISA Section, the ISA-SAIT games give process automation students a chance to try out their skills solving a wide variety of control problems in a team setting. Designed to encourage inter-school collaboration, student participants are assigned randomly to teams so that each team has a members from different schools. Students are then able to make use of the knowledge/experience of all their team members as they work to solve automation problems under a tight time deadline. In all, the games lasted for 3 days and took place from Thursday March 14 to Saturday March 16, 2019. Students were also treated to a welcome social event on the Wednesday evening. Wednesday and Sunday were used as travel days for the students, who came from all across the United States and Canada. In past years, the competition has also welcomed students from South America and Europe.